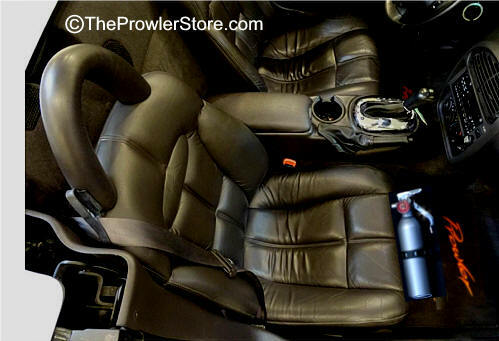 with Prowler Logo sticker included. 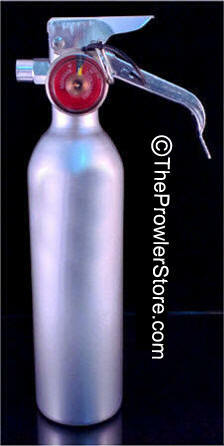 Metallic Silver Universal Racing Fire Extinguisher. 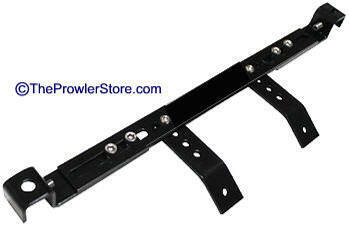 Includes mounting bracket ready to install. This high quality after market is fully charged with sodium dry chemical powder (rated bicarb). Fits great between the seats on the wall. Approximate size is 10" high and 2.5" in diameter. 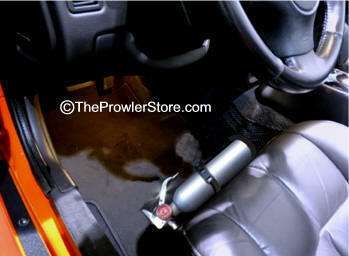 All metal adjustable fire extinguisher bracket attaches to front of seat legs slide rail. Easy mounting.